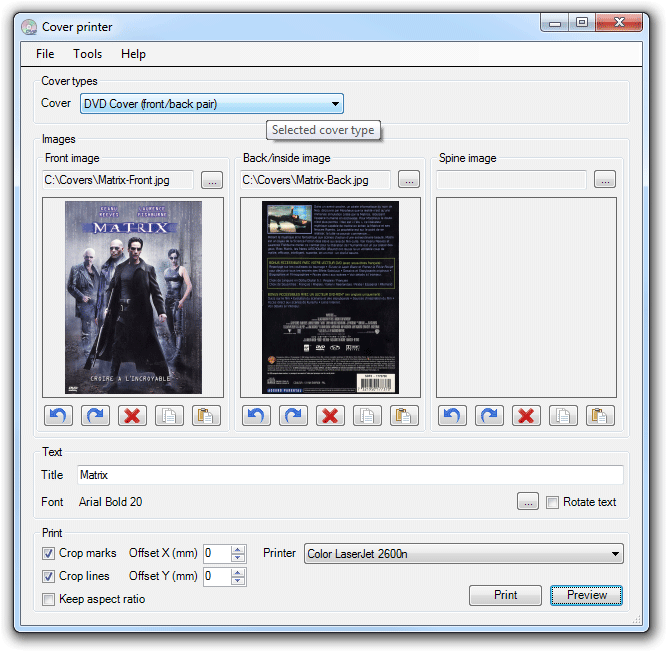 Cover printer is an easy tool for printing DVD and CD covers. 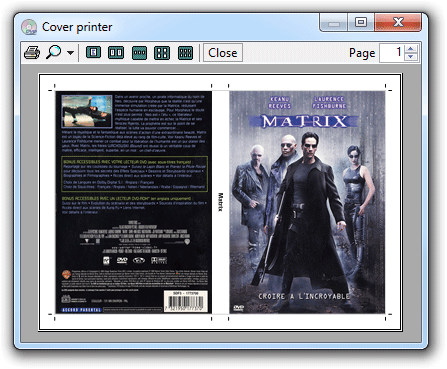 It’s not supposed to be a cover layout tool, just an easy print tool. 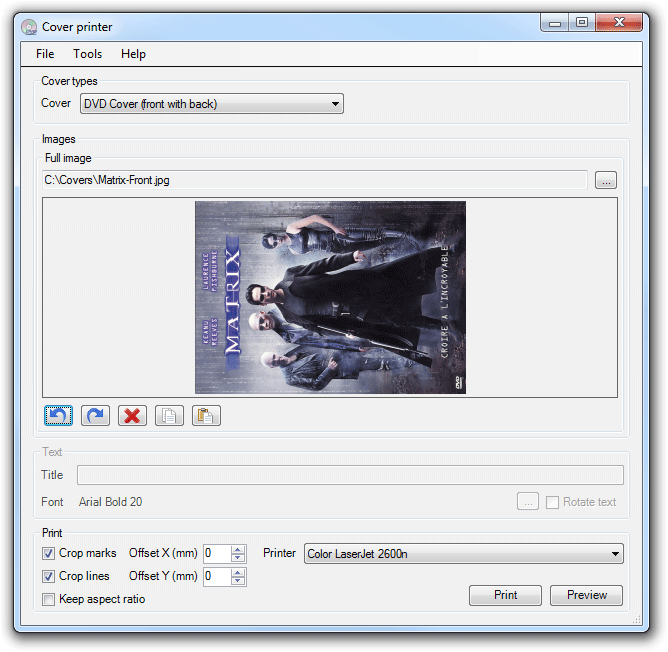 Cover printer automatically scales images to the correct size of the cover type selected. 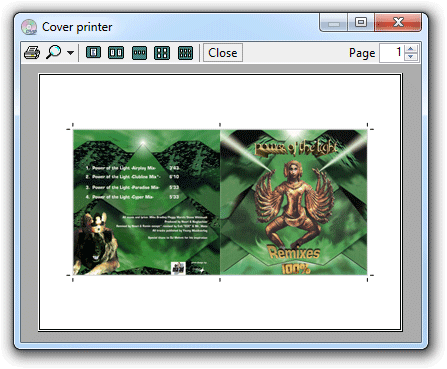 Some cover types uses one image and some two. Here we have selected a full image to be printed as a DVD cover. Add an image by dragging it to the image location or browse for it by clicking on the … button. 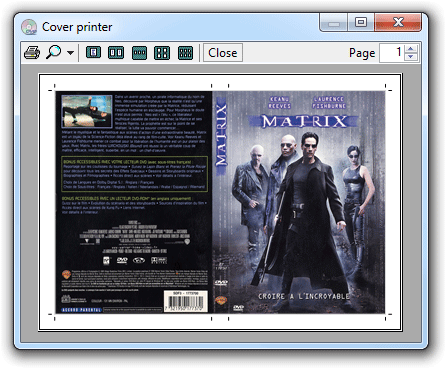 Use the preview function to view a preview of the printout. As you can see the image is stretched to cover the full DVD cover. 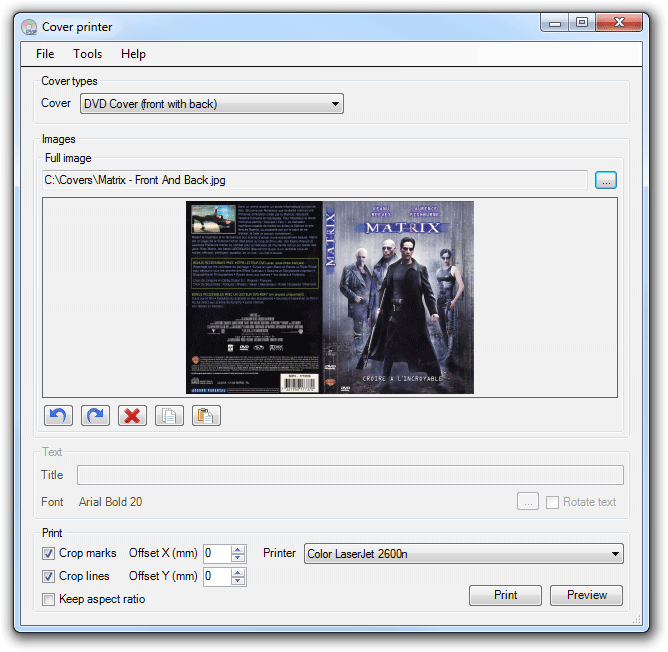 If you have separate images for back and front you can select a cover type that supports this. This cover type allows you to add a title for the spine. Image rotation is possible with the rotating arrows below the image. 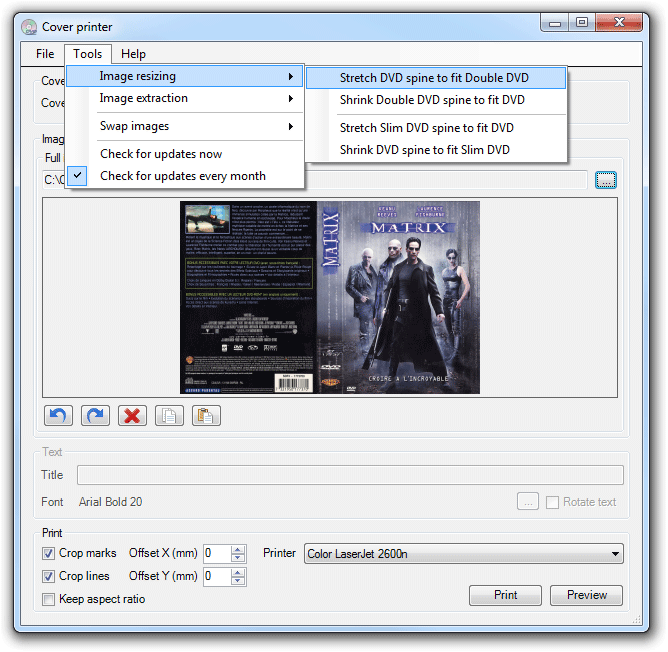 If you have a full DVD cover but would like to use it on a double DVD or slim DVD cover, you can use the predefined spine stretching functions. This only stretches/shrinks the spine. Please e-mail me about suggestions. I did not create any installation kit for this program. Please let me know if you want one, and I will create one, if more than 1% of you want to have an installation kit. You will need to have .net framework installed. You can get this from windowsupdate or from MSDN Downloads. Snapfiles.com says: Nodesoft Cover Printer does not contain any spyware or other malicious components! 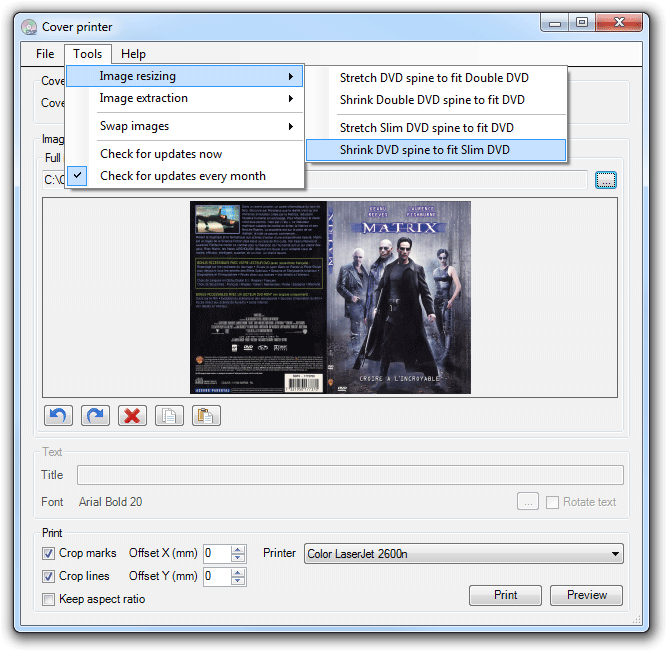 "Easily print covers for your CD and DVD" by Elena Santos at softonic.com. Rating: 8 of 10. You can't afford this space.